Packing for Mexico City can be a struggle. The city is tucked in the valley of Mexico amid tons of mountains. It sits at 7,382 feet which means it’s always a little bit cooler and drier than its coastal neighbors. 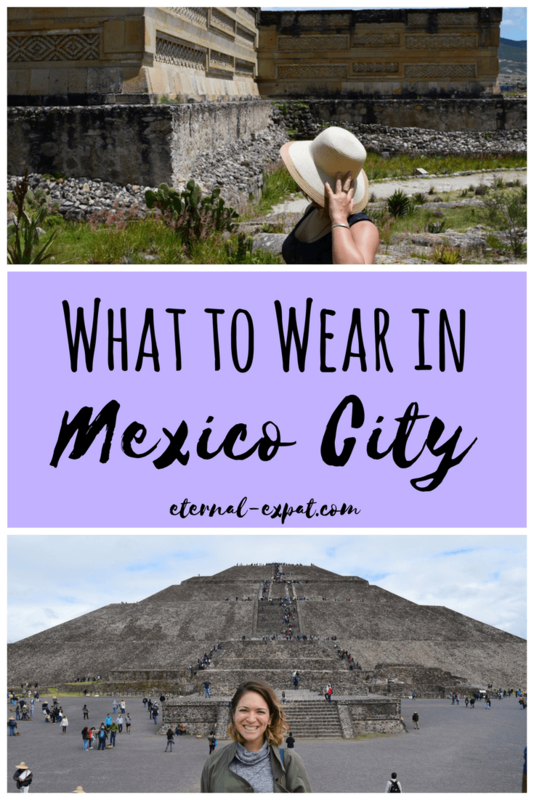 If you’re thinking about what to wear in Mexico City, this post should help you no matter what month you visit. I might even throw in some tips for the guys! 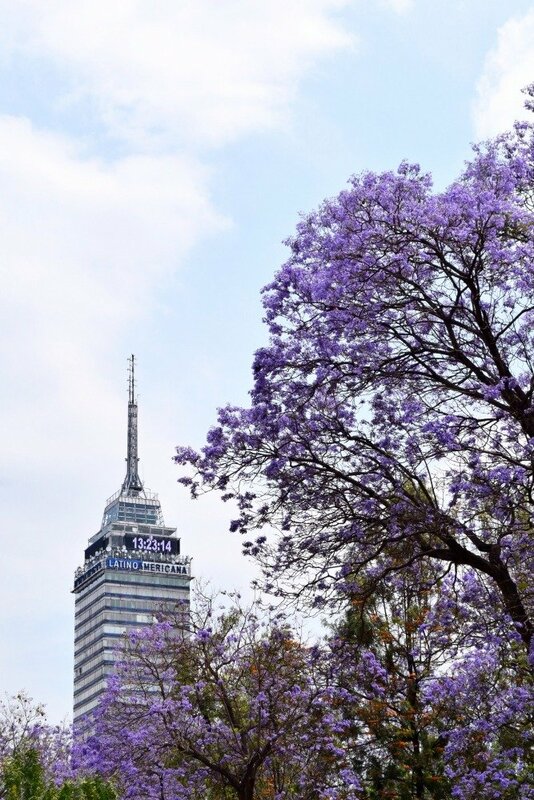 Mexico City’s climate is the closest thing to year-round Spring that I’ve ever experienced. January and February are the coldest and darkest months, with daytime temperatures of about 55-60 degrees Fahrenheit (12-15 degrees Celcius) and evening temperatures of between 45 and 50 degrees Fahrenheit (just below 10 Celcius). It starts to warm up by the end of February and by March it’s nice and warm and consistently in the 60s both day and night. April it starts to get quite hot and you’ll also experience the most pollution over this time period. Expect temperatures to regularly reach 70-75 degrees (21-23 Celcius) during the day and about 65 degrees at night. May and early June are the hottest and muggiest months of the year (in my experience at least). The sun is beating down all day long and it feels like it’s about 90 degrees during the day (about 30 degrees Celcius). By late June, the wet season has kicked in and until about mid-September you can expect quite a lot of rain in the afternoons. It’s usually still pretty warm during the day and the rain doesn’t come until about 4 o’clock, but like any weather, it’s often unpredictable and you should always be prepared for a quick tropical downpour. By the end of September, the weather is slightly cooler, between 65 and 70 degrees during the day and about 60 degrees by night. This year, we’ve been experiencing a ton of rain and even in early October we’ve been having grey and rainy days. You’ll definitely want to bring layers with you if you plan to stay out all day and always pack your sunglasses in Mexico City! It stays like this until about November when once again, the temperatures, especially at night, begin to drop to just about what they are in January and February. Expect nice sunny days during this time of year, just slightly cooler temperatures. 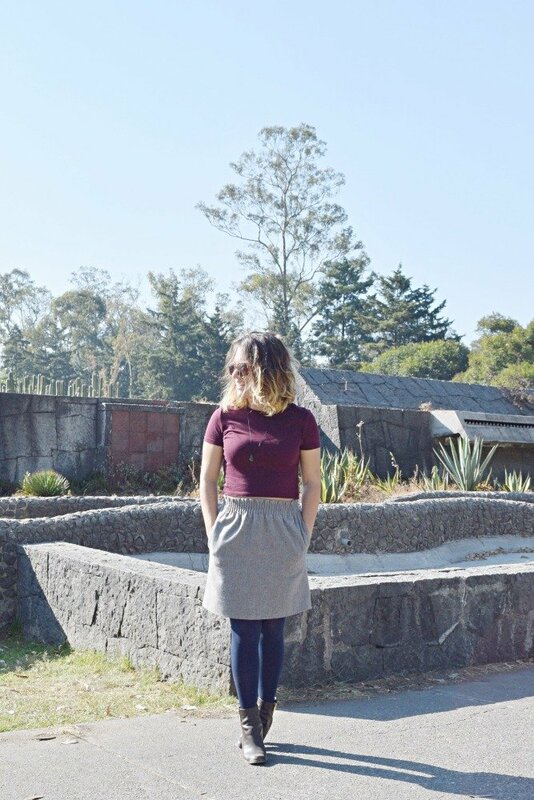 While most of Mexico City is pretty progressive and you shouldn’t have much of a problem wearing whatever the hell you want, some more local areas and markets are still quite traditional and you’ll want to cover up a little bit. One thing you’ll probably notice once you arrive in Mexico City is that most women don’t wear shorts. Even when it’s sweltering they’ll be in skirts or jeans. That being said, there’s nothing disrespectful about wearing shorts as a women or even showing off a bit of cleavage. I’ve had discussions with a lot of Mexican girlfriends and they all agree, they dress more conservatively because they don’t want the attention that wearing those clothes often gets them. Mexico machismo is strong. The thing that I’ve noticed as a foreigner though, is that I get whistles whether I’m wearing a pair of shorts and a tank top or a long sleeve shirt and jeans. So I generally just wear what I want now, especially if I’m going out with a group or with Luke. If I’m just going to be walking around the city by myself, I’ll think a little bit more about what I’m going to wear and cover up a bit. To be clear, this isn’t a SAFETY issue, this is an issue with feeling uncomfortable being gawked at or wolf-whistled just like you can be in basically any city in the world. I have never felt unsafe when I am exploring this city, whether I’m on my own or with friends. While most of this post will be catered for women, I thought I’d just give a little bit of background on what men tend to wear in Mexico City! While Mexico City is a pretty casual place overall, casual takes on a different mean in Mexico City. Men are often very well dressed, especially in Condesa, Roma, Polanco, or the Centro Historico. Think fitted jeans or chinos and stylish button-down shirts. Most men wear fashionable sneakers or nice leather shoes. Like a lot of men these days, expect well-trimmed beards and well-coiffed hair. Men take pride in their appearance here and it’s unlikely that you will see many Mexican men wearing shorts or flip flops, even when it’s hot outside. There aren’t many cultural rules when it comes to showing off shoulders, cleavage, or a bit of belly in Mexico City. I’ve seen it all done by Mexican women and the city center, especially areas like Condesa, Roma, Historic Centro and around are pretty liberal when it comes to women’s dress sense. Wear what makes you feel comfortable. Wear pieces that are light in both fabric and color, because even in the winter months, the sun is strong and coming from someone who loves to wear black, it gets HOT. I usually wear tank tops with thick straps or lightweight t-shirts. If it gets hot then they keep my cool, and when it’s cooler in the evenings, I can easily layer a sweater and/or jacket over the top. I’m a big lover of skirts and dresses. I prefer them over jeans. For most of the year, skirts without tights are totally fine. I do recommend bringing a few pairs of tights if you’re coming between November and February, though. 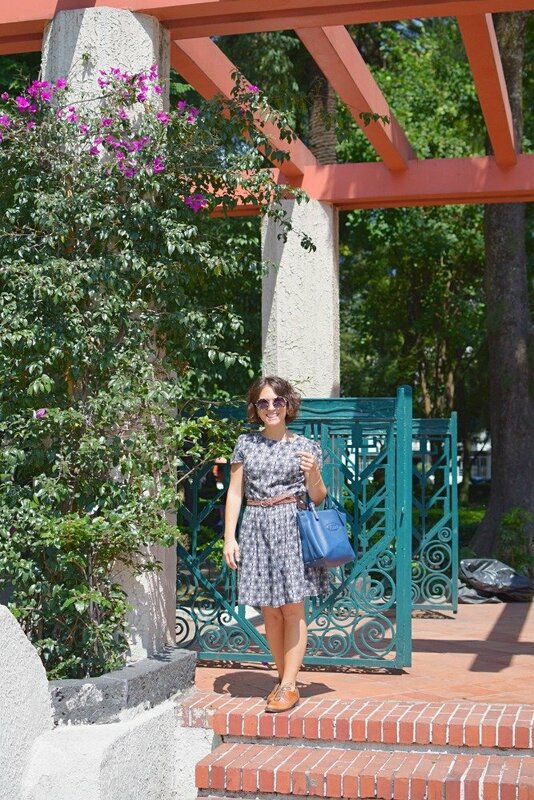 If you’re a dress lover like me, it’s good to know that the city is basically always windy. All the tall buildings, tons of wind tunnels, and the fact that we’re over a mile above sea level means that even when it’s sweltering, your dress might blow up and reveal to the world your cute vacation underwear. I usually opt for weightier fabrics like thick cotton rather than flower dresses since I hate having to hold my dress down all day long. I wear jeans most months (except April and May when I’m melting). Although the sun is strong, the evenings can get really cool, especially during the wet season and in the winter. If you prefer other types of trousers, go for it, I’m just a jean lover. My boyfriend prefers chinos which keep him just as warm (probably warmer tbh) and are nice and stylish for evenings in the city. Bring plenty of layers, no matter what time of year you come. You’ll want to have a nice light sweater for when the sun goes down. In the winter months, something thicker like a wool sweater or light jacket will be necessary. The thickest jacket I have is a leather jacket and that’s perfect for the coldest months. In the shoulder periods like October and March, a jean jacket or something of that weight would be perfect. If you are coming at all between June and October, I highly recommend packing a rain jacket. I went all last summer without one and I totally regretted it. This year I got myself this nice Columbia one and it has been one of the wardrobe best investments. It rains about 4 out of the 7 days a week during the wet season and when it rains it REALLY rains. If you have a small travel umbrella, bring that, too. 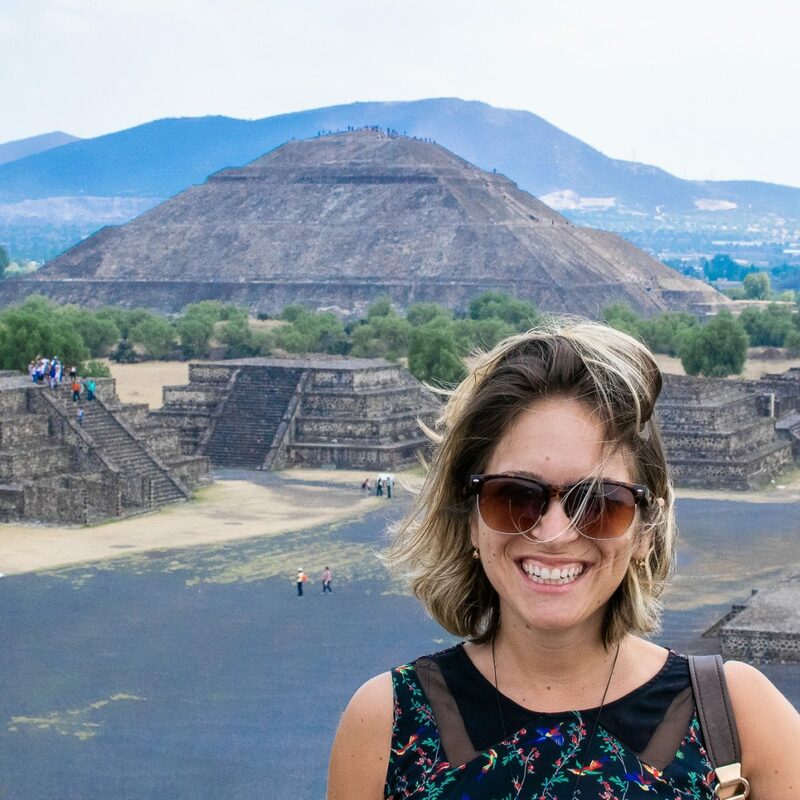 You’ll likely be doing a lot of walking in Mexico City – especially if you’re looking to do the tourist spots like Teotihuacan or all of the museums in the city center. Finding the perfect travel shoes can be a huge challenge. 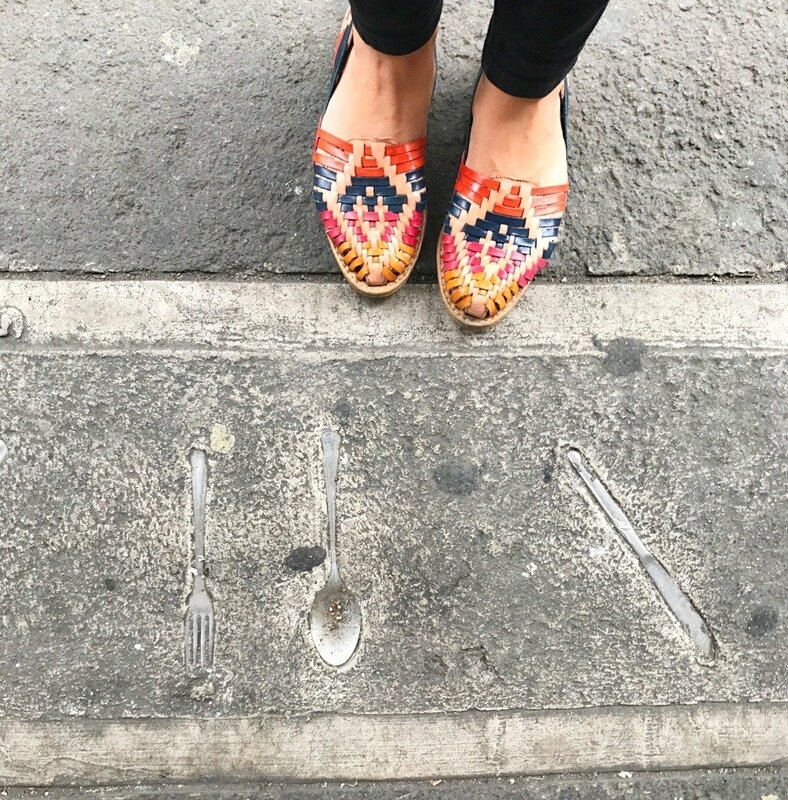 There are a lot of uneven sidewalks to navigate and plenty of cobbled streets, so be sure to pack comfortable shoes that you feel good in. The city is a bit gritty, especially during the dry months, so wear shoes you can easily wash and avoid flip flops. Like I mentioned above, Mexico City is a pretty casual place so stylish sneakers are perfectly fine. I usually wear my beloved Clarks brogues, but Luke always wears either his leather boots or a pair of casual Adidas sneakers. 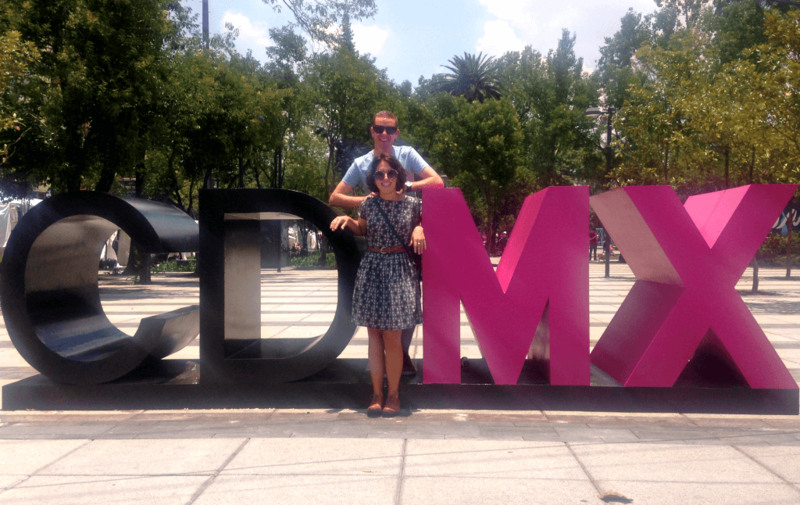 We’re lucky enough to experience near daily sunshine in Mexico City. Even during the wet season, the sun comes out at least once a day. I always keep a pair of sunglasses in my purse, even if it looks grey and dull when I leave the house, because it is inevitable that the sun will come out for an hour or two, at least, and I’ll regret it if I don’t have them. 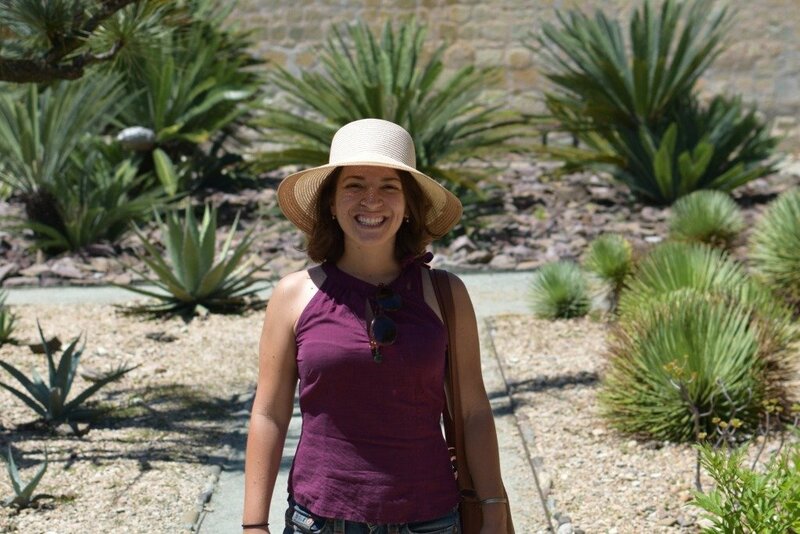 I highly recommend bringing a hat, especially during the warmer months of the year and especially if you plan on spending time walking around the city. The sun is incredibly strong and if you have dark hair or feel the heat easily, then a hat is a must. There are plenty of markets and shops where you can pick one up here in the city in case you forget to pack one. I love wearing makeup whenever I travel and Mexico City is a great place to show off your favorite palettes and lipsticks. Mexican women love a bold lip or a bit of eye shadow. I often watch women on the metro curling their eyelashes with a spoon and putting on eyeliner with amazing precision considering we’re in a jolty old subway car. Thanks to the lack of humidity for most of the year, you never really have to worry about your makeup melting off your face like you would in say, Tulum or Playa del Carmen. Like any major cosmopolitan city, women walk around wearing big diamonds on their fingers, lots of necklaces and long earrings. I always wear my favorite jewelry around the city and I never worry about anything happening to it. If there are very special pieces that you absolutely don’t want to lose, simply don’t pack them, but don’t worry about looking “too flashy” or being a target because of what you’re wearing. Is it Safe to Travel Mexico City? 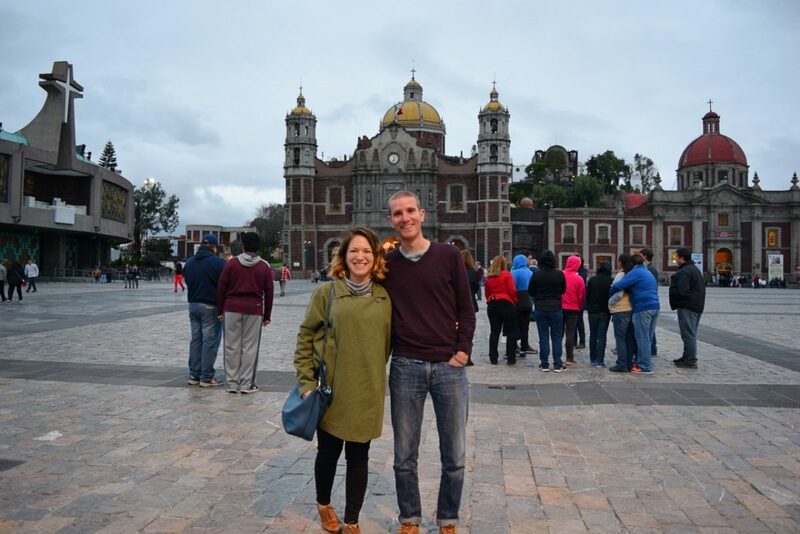 For the most recent posts about Mexico City, head over to my Mexico City page. Very helpful, and thanks for including tips for men. I hope to go to Mexico in the next year or two and this will let me pack with confidence. I will be visiting Mexico City at the end of February as a solo female traveller and staying at a hostel in the historic city centre. I plan on doing a few group tours but mostly solo exploring — do you have any tips for how to dress and any safety tips for me during my stay? Thank you!